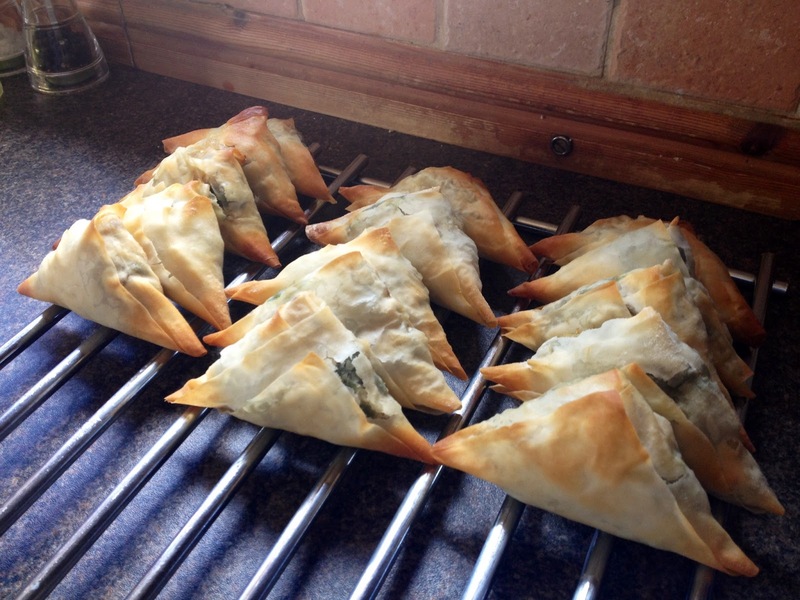 Spanakopita are a traditional Greek pastry that I absolutely cannot get enough of. When my sister lived on the Greek Island of Skiathos and I was visiting I’d visit the bakery every morning for a fresh spanakopita for breakfast! I’ve seen them made into all different sorts of shapes but most commonly in a spiral. 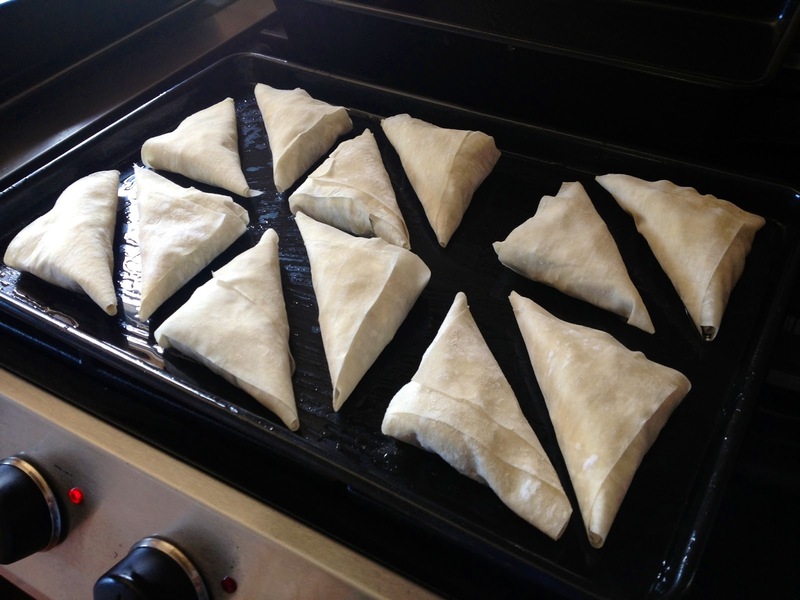 I’ve made them here in samosa-like triangular shapes just because it’s quite simple to do and quite a nice size and shape to pick up and eat without getting too messy. 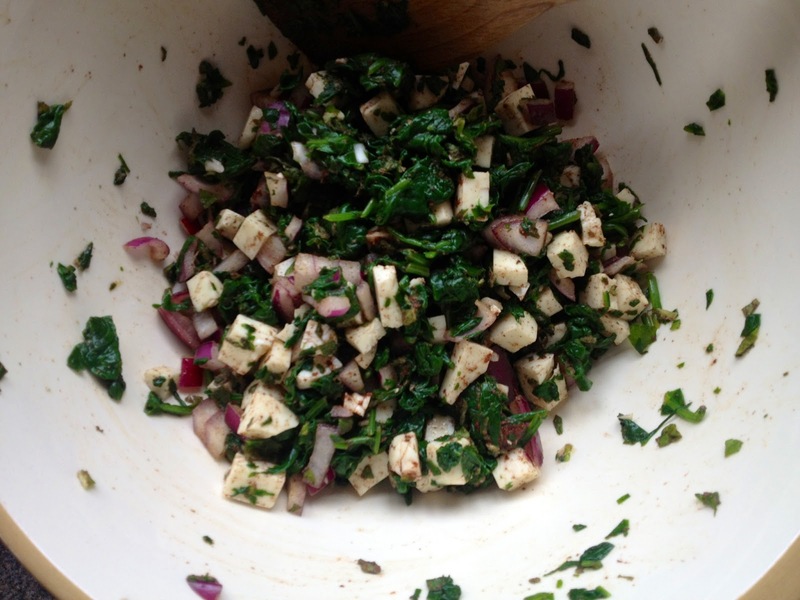 This is such a versatile recipe, great for picnics and packed lunches. I often make them for a side dish at barbecues or as part of a buffet. You could even make a little Greek mezze starter up with them, served with a few Greek dips, like my tzatziki, houmous or taramasalata, some olives and pitta bread. 1. Preheat oven to 180°C and grease a large baking tray with oil. 2. Blanch the spinach. You don’t need to spend ages faffing about with saucepans to do this. 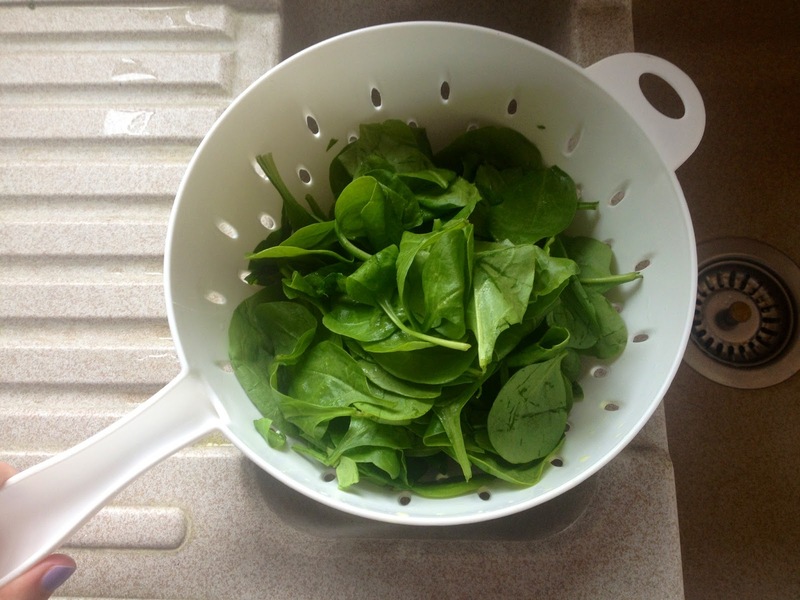 Just pop your spinach leaves in a collander in the sink and pour a kettle of boiled water over them. 3. 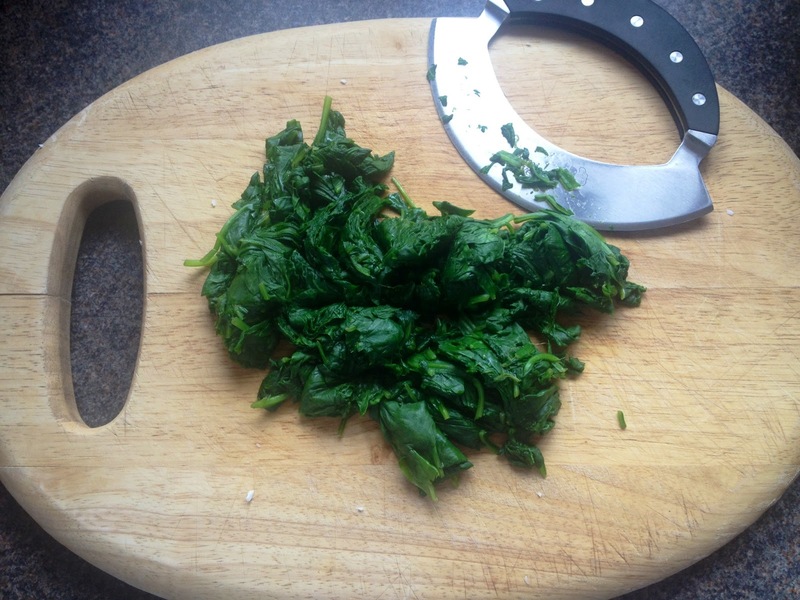 Make sure you’ve squeezed away any excess water from the spinach, you don’t want a soggy mixture, then finely chop. 5. 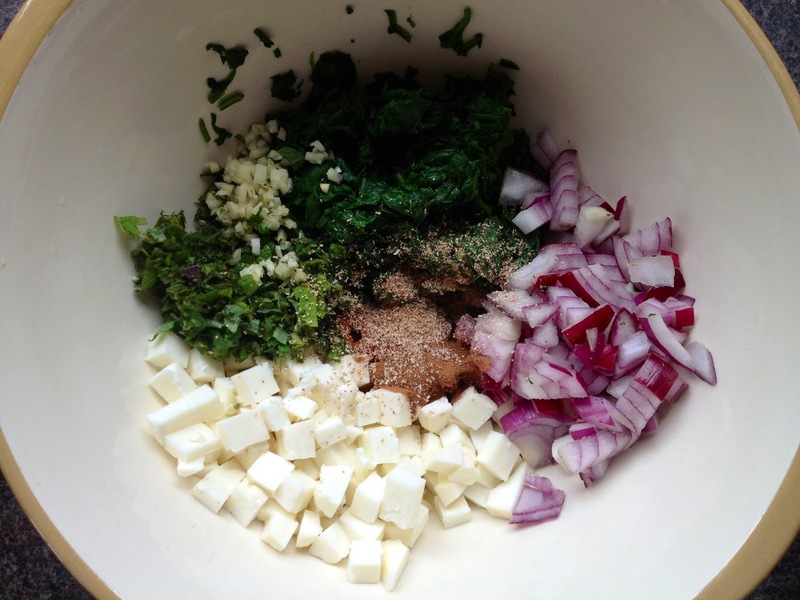 Mix together and add the beaten egg to combine. 6. 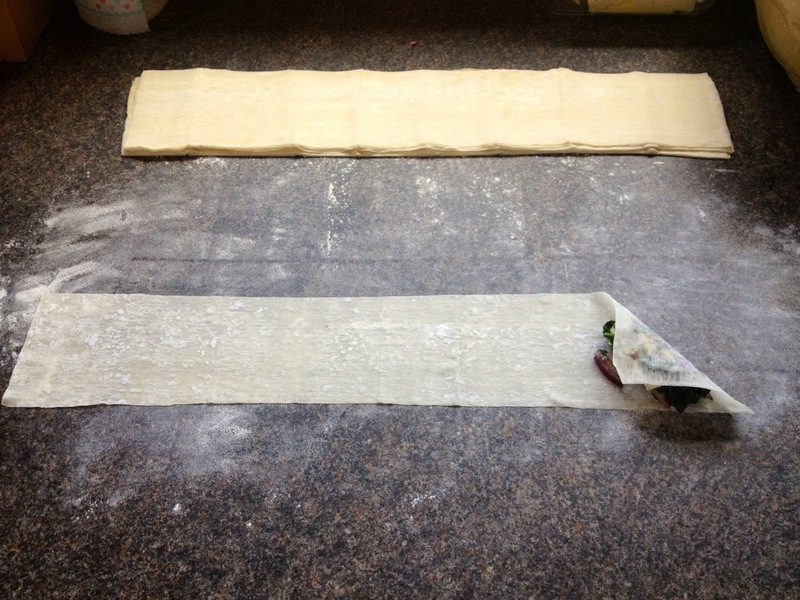 On a floured work surface slice your filo sheets into long strips. 7. 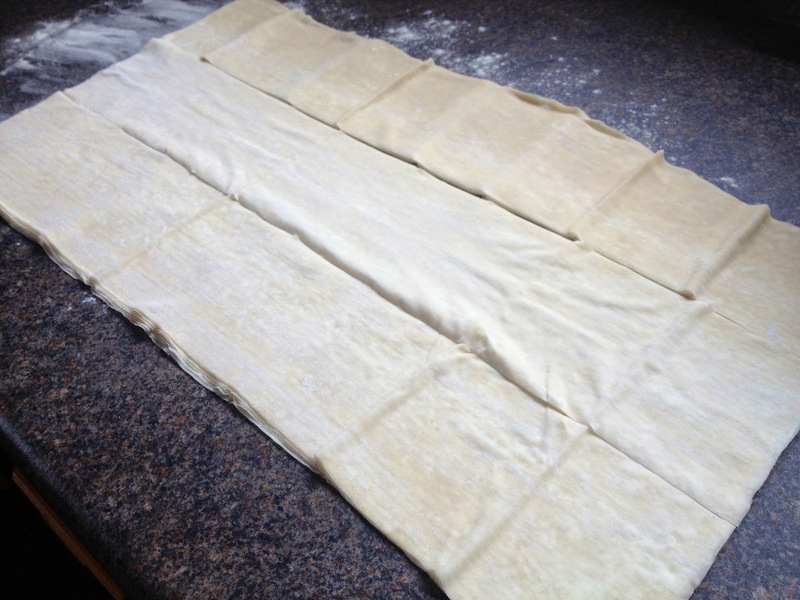 Take a strip and spoon a little of the mixture into one corner. 8. 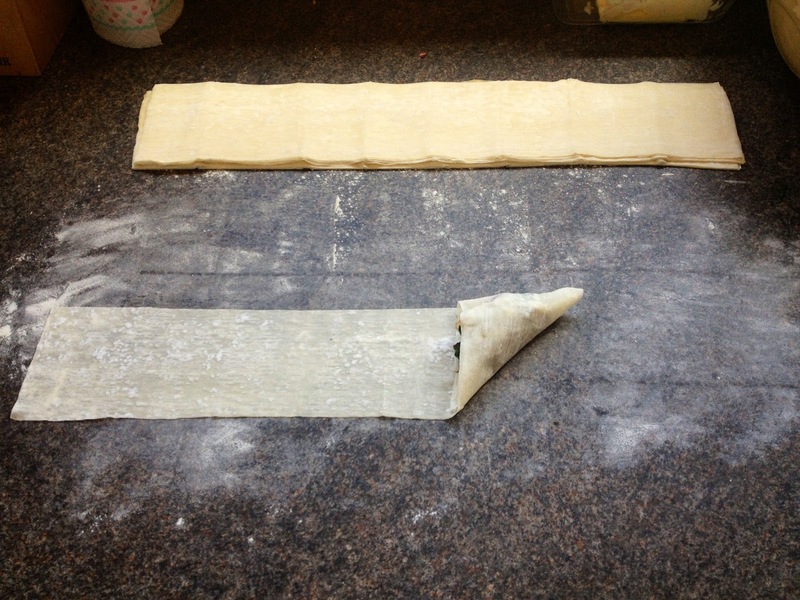 Fold the corner over on itself in a triangular shape and continue down the strip wrapping it up a bit like a samosa. 9. 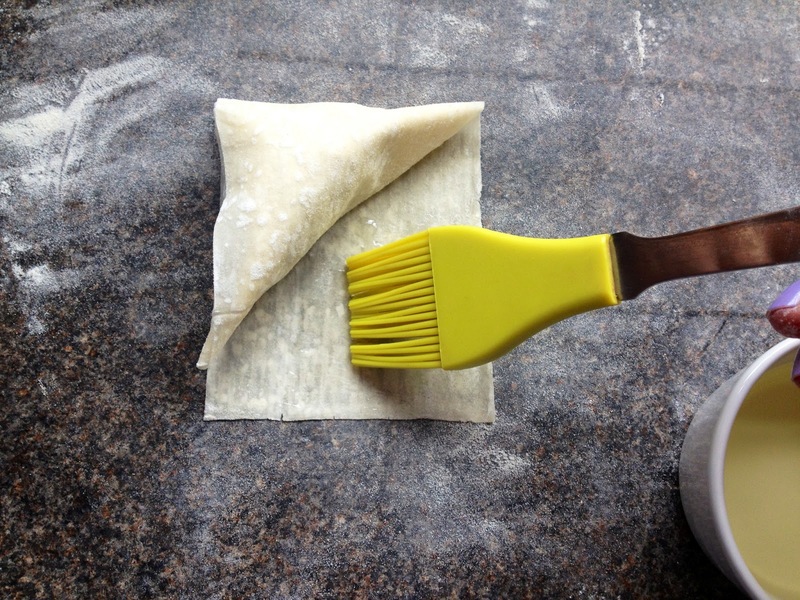 Before you fold over the last corner, brush lightly with olive oil to seal. 10. Repeat until you’ve used up all the filling. 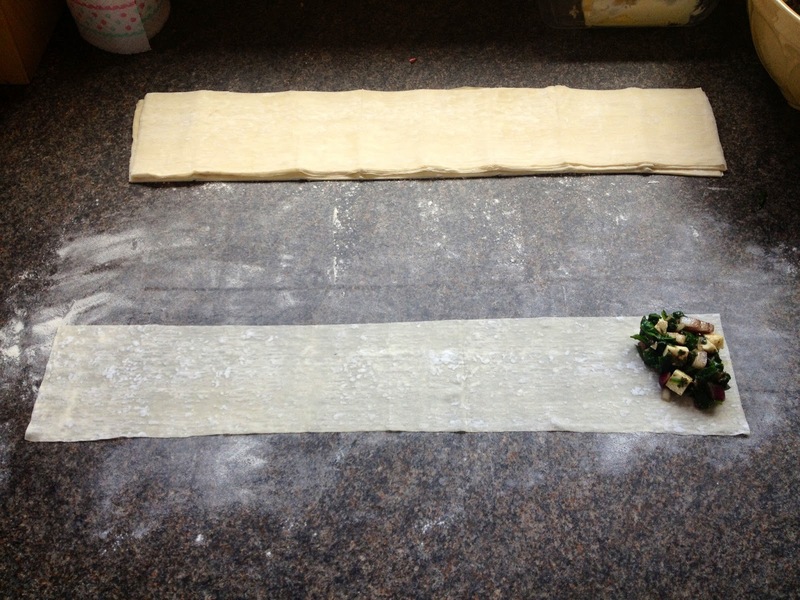 This recipe makes about 15 depending on how large you make your strips and how much you stuff them. 11. Place all the pies on your baking tray and brush lightly with oil to help them crisp up in the oven. Bake in the oven for about 20 minutes or until the pastry has gone golden and crispy. 12. Remove from the oven and leave to cool. These can be served hot or cold but I always like to pinch one from the batch to eat when they’re warm from the oven, you can’t beat it.